Kardiani. 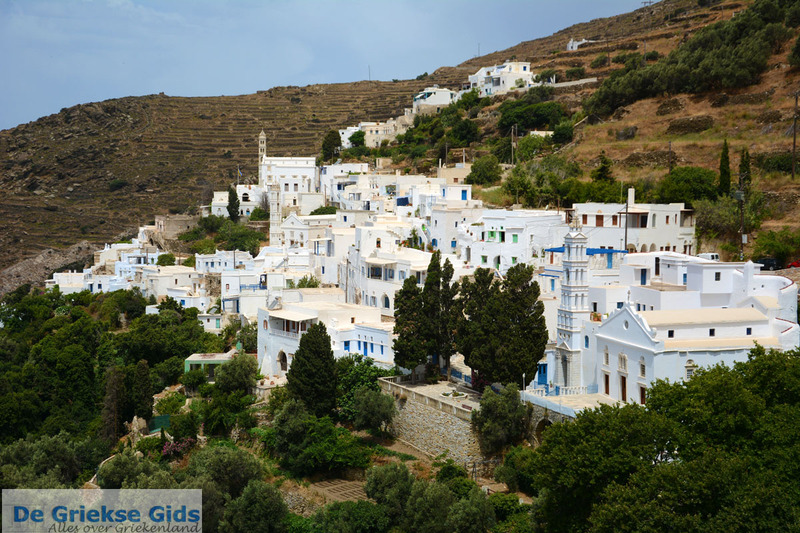 Kardiani is a picturesque mountain village on the island of Tinos, fifteen kilometers (9 mi) northwest of Tinos Town. 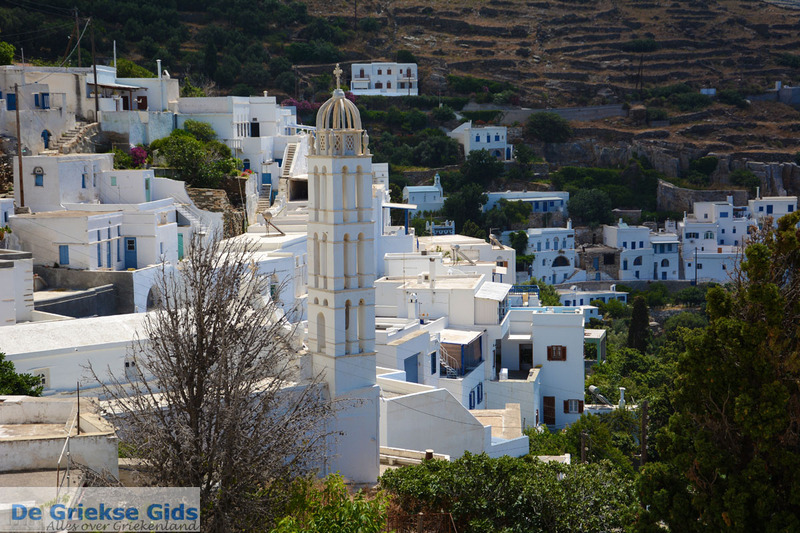 Surrounded by green trees, Kardiani is located on the slopes of a mountain, twenty minutes from the capital of the island, Chora (Tinos Town). 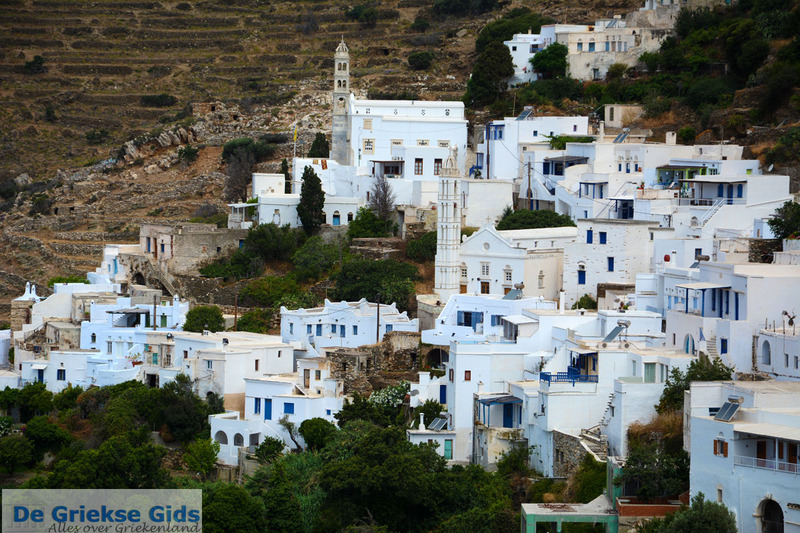 Kardiani is a village with unique architecture and unusual façades above doors and windows. 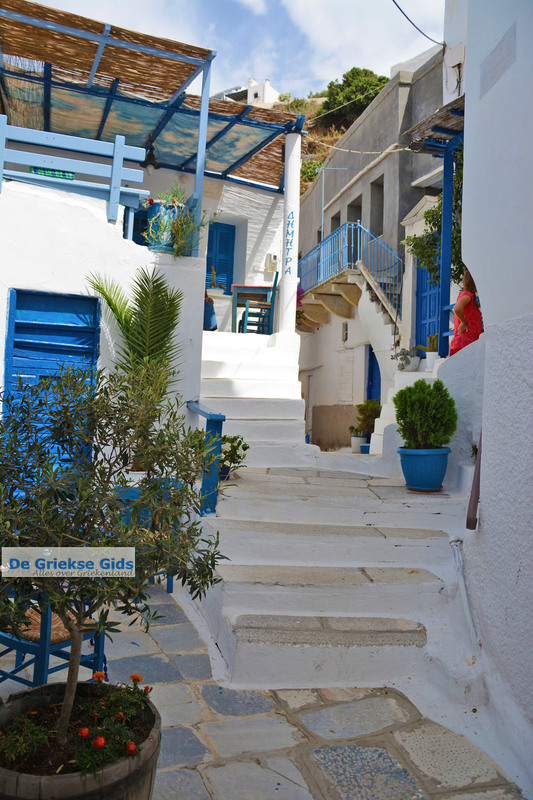 We suggest a walk through the narrow alleys and stairs of the village. 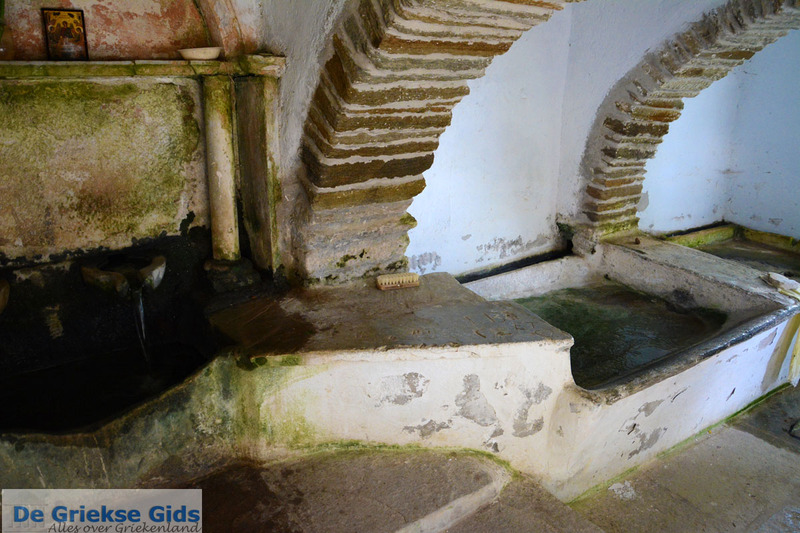 You will see interesting marble springs, a water fountain and marble houses. 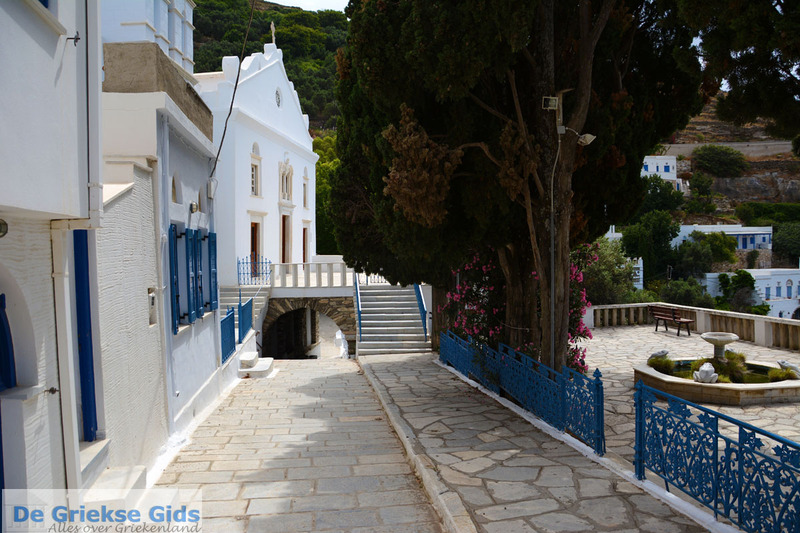 Most of the houses are white and are built with stone and marble from Tinos. 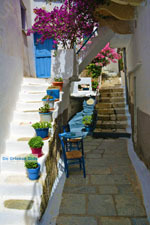 In the village is a kafeneion and a tavern. 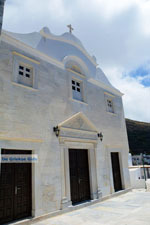 Kardiani is built amphitheatrically on the mountain Pateles. 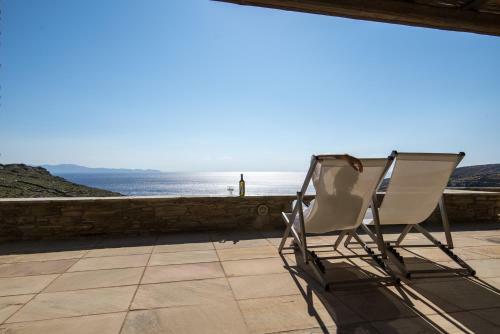 There’s a magnificent view from the village overlooking the sea and the bay Ormos Giannaki. 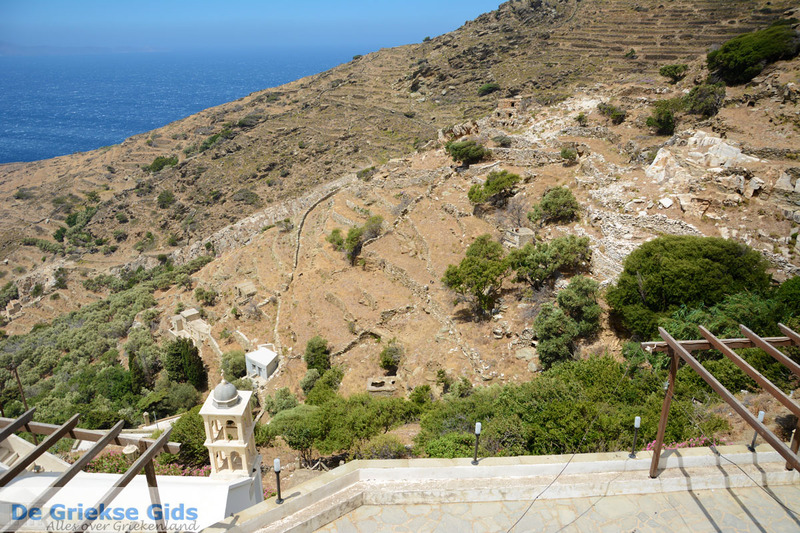 In the village live both Orthodox Christians and Catholics. The Orthodox use the church of Agia Triada, while the Catholics have the Catholic Church of the Assumption of Mary and the church of the Birthday of Mary. 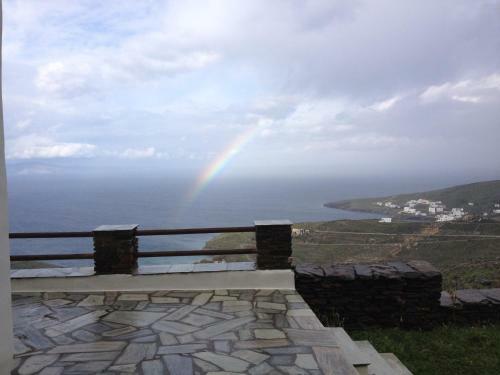 From Kardiani you can walk down to the sea, to the bay of Kardiani (Ormos Giannaki). You can also travel by car or scooter to get there. 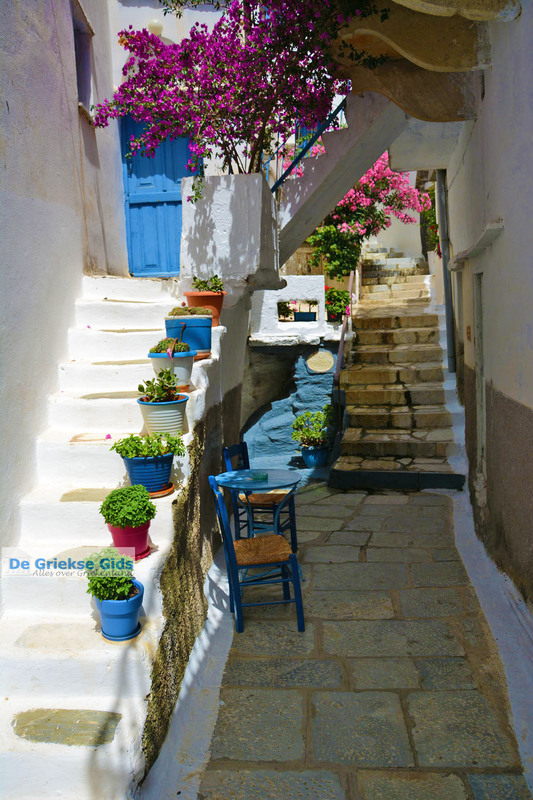 The walk takes about 45 minutes and by car you'll be there in just 10 minutes time. 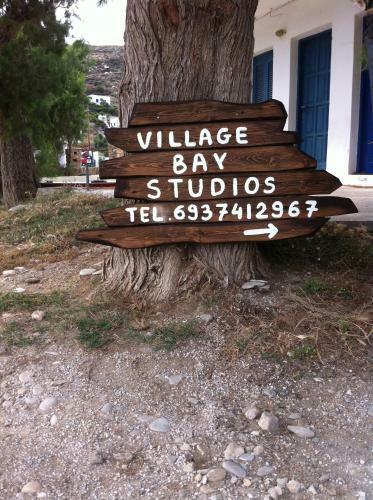 At the pebbled beach are rooms for rent and there are some taverns. 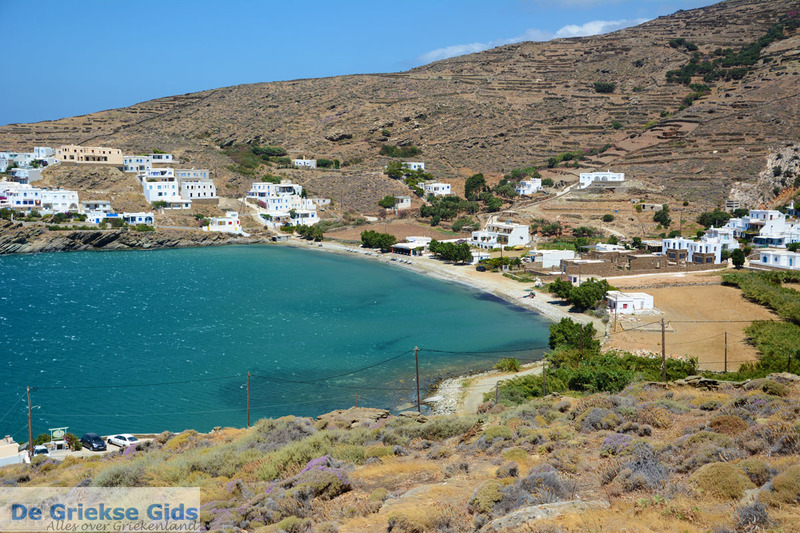 To the east of the Bay of Kardiani you’ll find two bays and beaches where you can swim; Aghios Petros and Kalyvia. 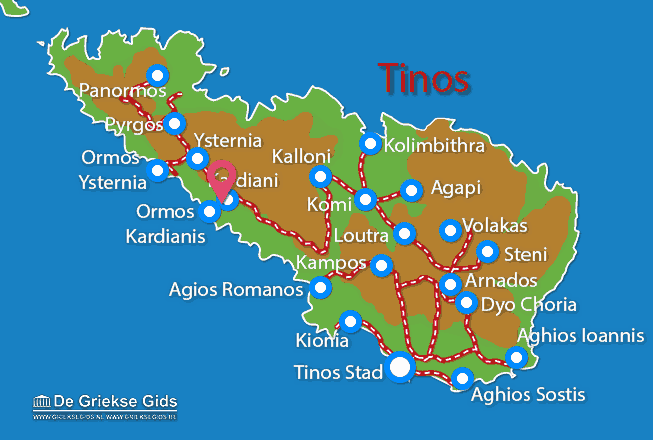 Tinos: Where on the map is Kardiani located?